> S.E Qld's deer population, lean times. 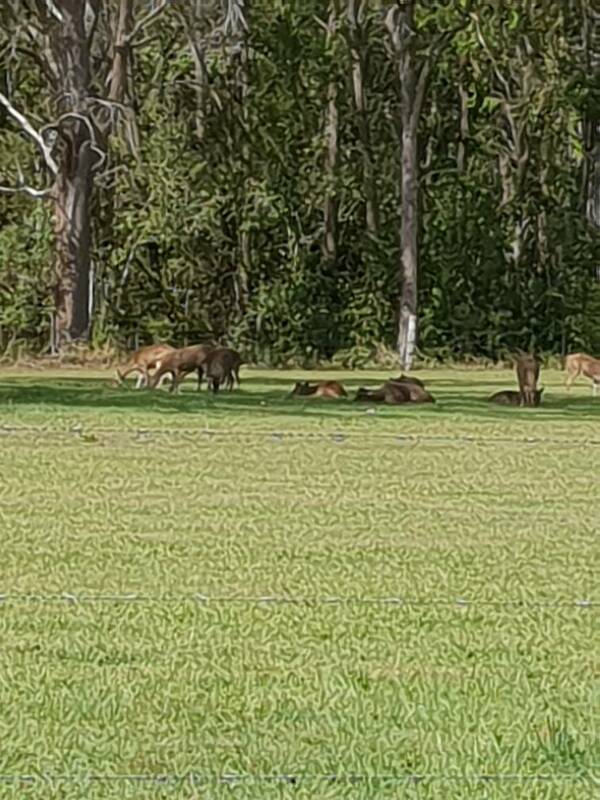 Thread: S.E Qld's deer population, lean times. By the way, is there a viable population there, or is that stag just a loner? S.E Qld's deer population, lean times. Awesome even from that distance and on a phone he looks like a cracker. Cool pic thanks for posting. That's cool as Bruce, there are certainly some good herds of deer in and around Brisbane city. Couple of fallow in the same spot that the stag pic was taken seen a dozen rusa there the other day too, this land is now being cleared for development but doesn't bother the deer at all. We have found the deer around here actually prefer to be close to the urban development, once you move away from the houses their numbers are less.